Tuesday Taco Nights are not a thing in our house, if we could get away with it, every night would be taco night. Or nachos. Or burritos. *Drooling* We love Mexican food in general. Sometimes tacos just don’t do it for me though. 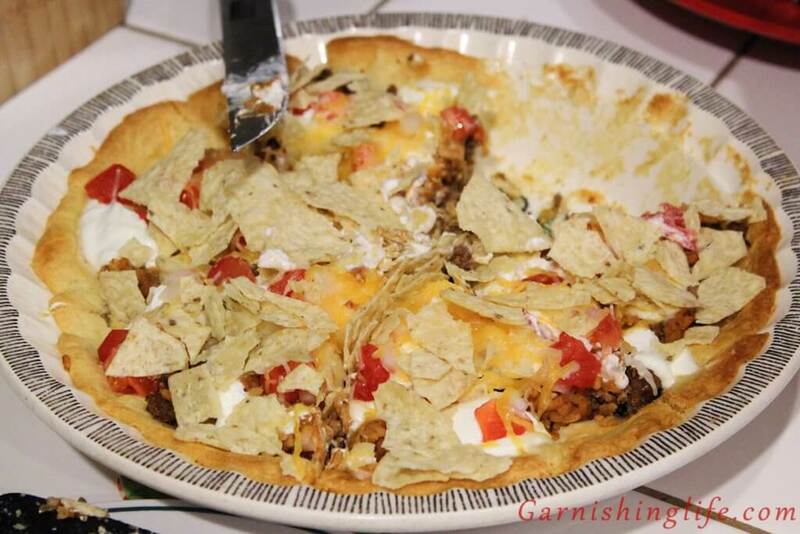 The taco pie has the exact same ingredients as you’d find in a taco, with the difference of a crust for a shell. 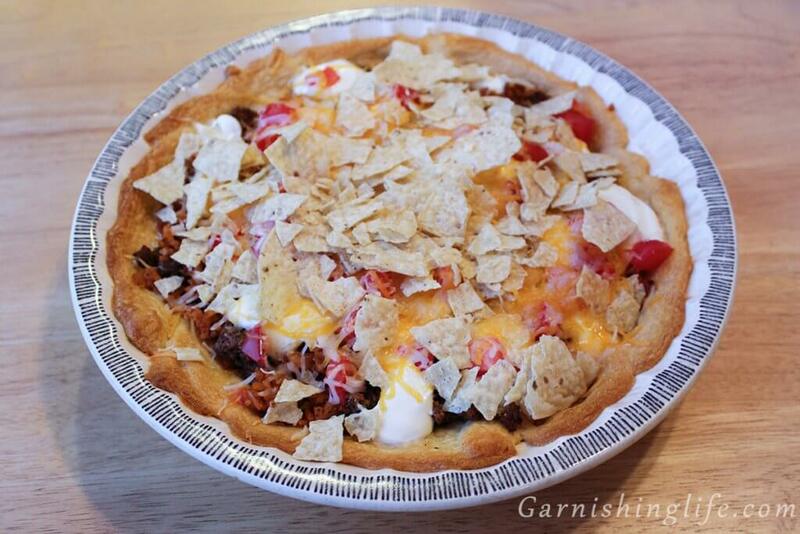 That crescent roll crust pulls it together so well, it really satisfies my craving. I think it’s the slightly buttery, slightly sweet flavor of a crescent roll that really grabs me. So, let’s get into it. Start by lightly spraying an 8” pie pan with cooking spray. You want to be able to pull the slices out easily. Then you’ll open your refrigerated crescent roll dough and press the seams in together to make it more of a solid sheet of dough. 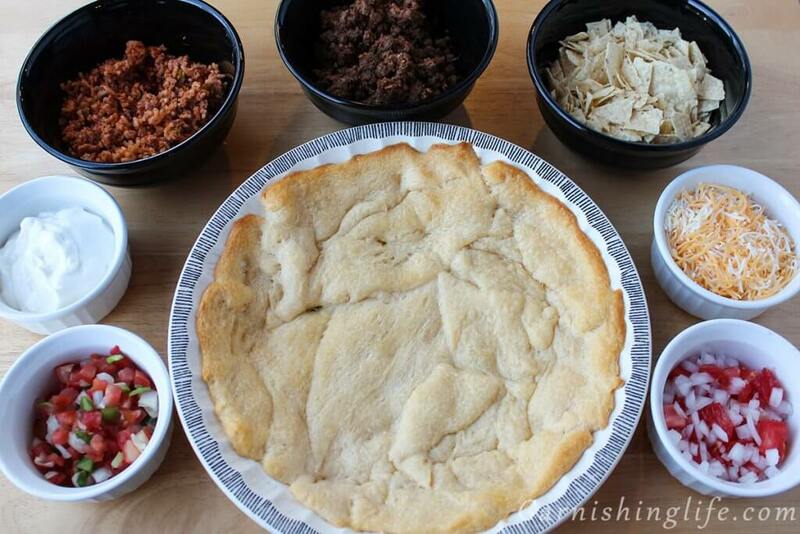 Place the dough in your pie pan and stretch it around to fit the bottom shape of the pan. Also, Stretch up the sides – just a bit. It doesn’t need to be perfect or look pretty, so long as there’s enough crust stretched out to hold your ingredients. Bake the dough in the pan as directed on package. Then, we make the taco meat. Brown ground beef, add taco seasoning and water and simmer for a few minutes. Set oven to 350°. This is the yummy part. 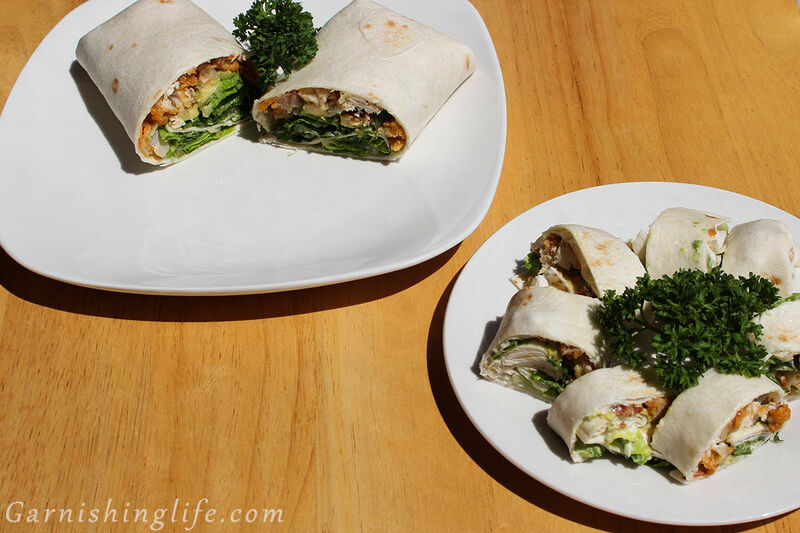 Layer it like a taco! Start with the beef, our Zesty Spanish Rice, sour cream, veggies, and cheese. 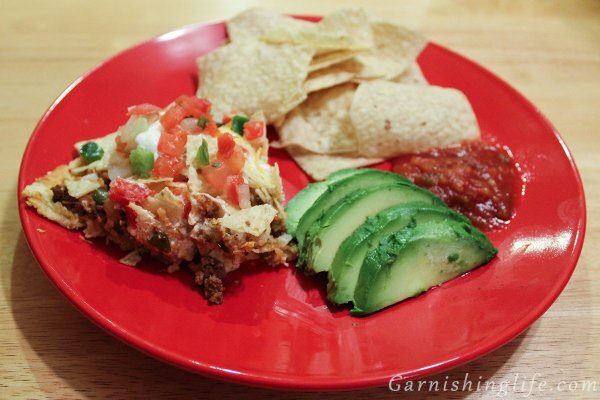 Crumble tortilla chips over the top. Bake for 10 minutes. 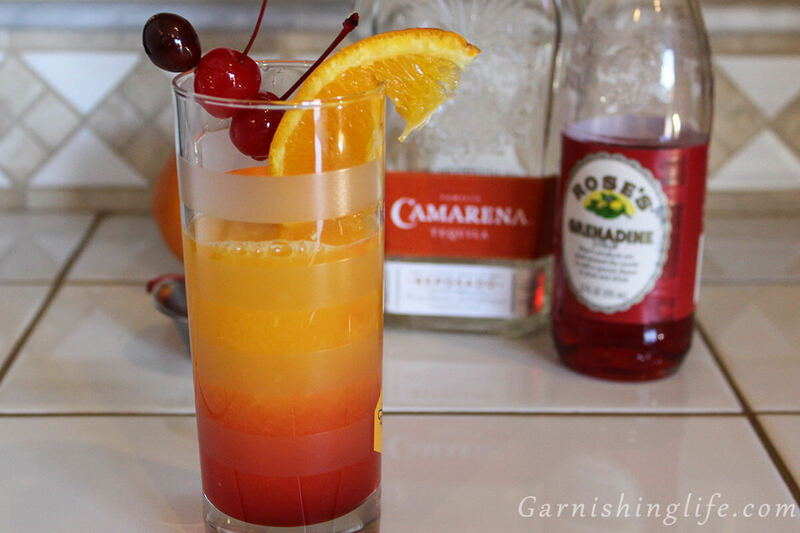 Let cool for just a few minutes, so you can cut and remove the slices easily. Then Garnish with a dollop of sour cream and pico de gallo. 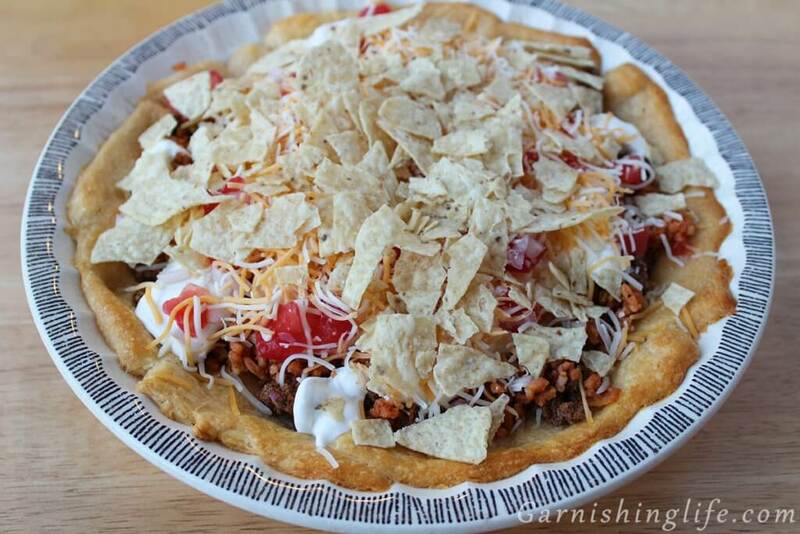 We like to eat our tacos and taco pie with a side of chips and salsa. Mike likes avocado to smear all over everything. 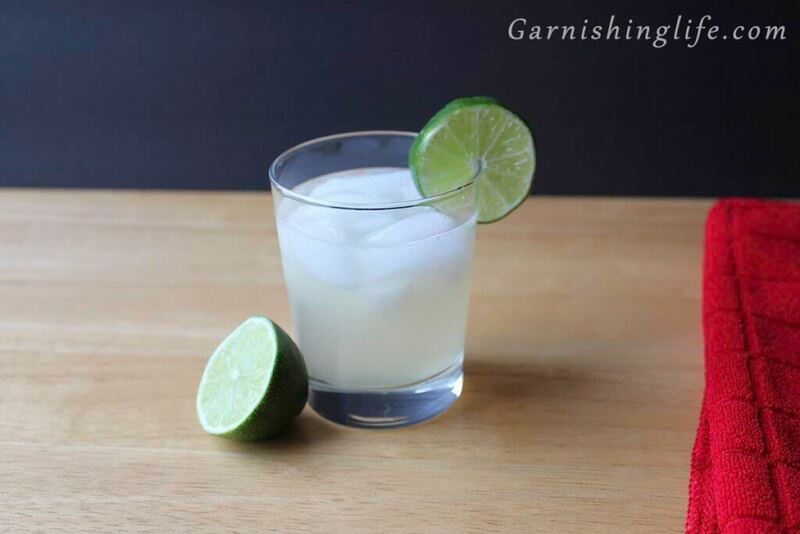 We both agree that nothing goes better with a taco dish than a Classic Margarita. 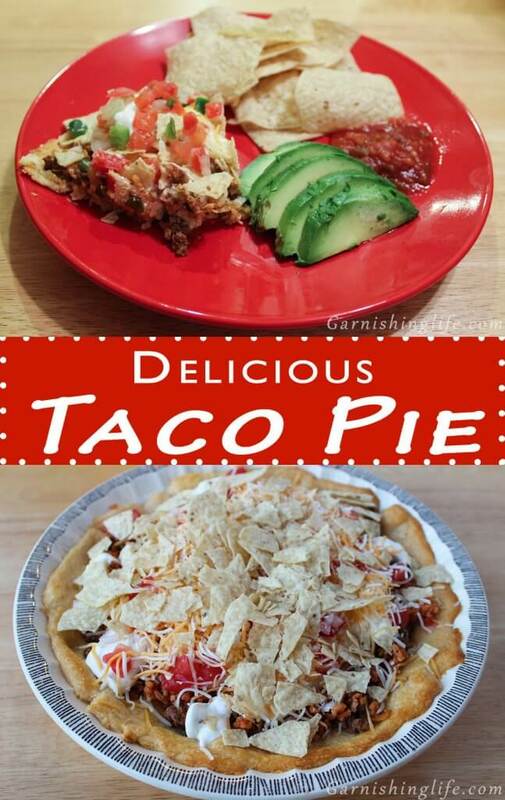 I especially like the Taco Pie leftover for lunches. Just remember to crumble some extra tortilla chips on top after you reheat it. The original chips aren’t as crunchy after they see fridge time. Lightly prepare an 8” pie pan with cooking spray. Lay crescent dough flat on bottom of the pie pan, shape and stretch to fit up the sides. Bake crescent dough as directed on package. Add taco seasoning and water, stir well. Simmer until thickened, approximately 3-5 mins. Layer beef on the crescent dough. 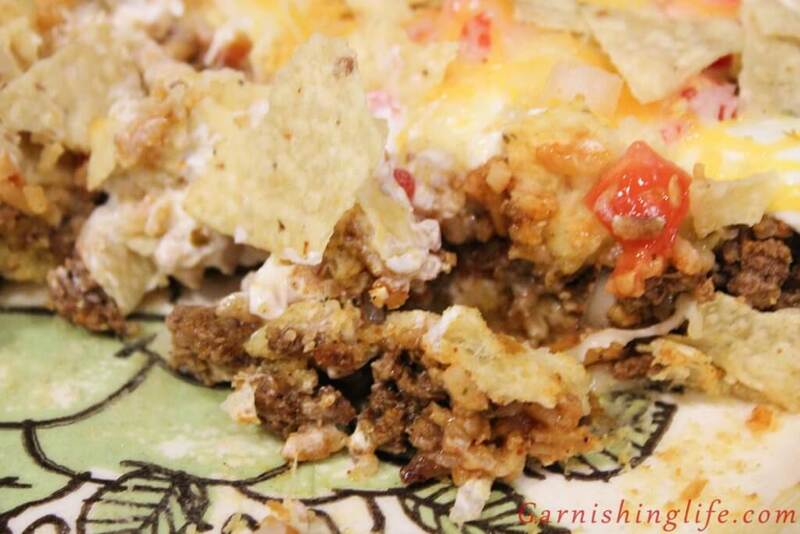 Atop beef, layer rice, sour cream, veggies and cheese. Garnish with a dollop of sour cream and pico de gallo. To reheat, microwave for 60 seconds and top with additional chips, sour cream and pico de gallo.